At the University of Texas at Austin, many services exist to support students on campus who experience crimes or crisis. Until January 2019, however, more than 20,000 staff and faculty on campus went without victim advocate support at the scenes of crimes or distressing events. The Victims Advocate Network (VAN) aims to meet that need through the activation of a network of faculty and staff volunteers, trained in mental health first aid and other areas of victim advocacy. 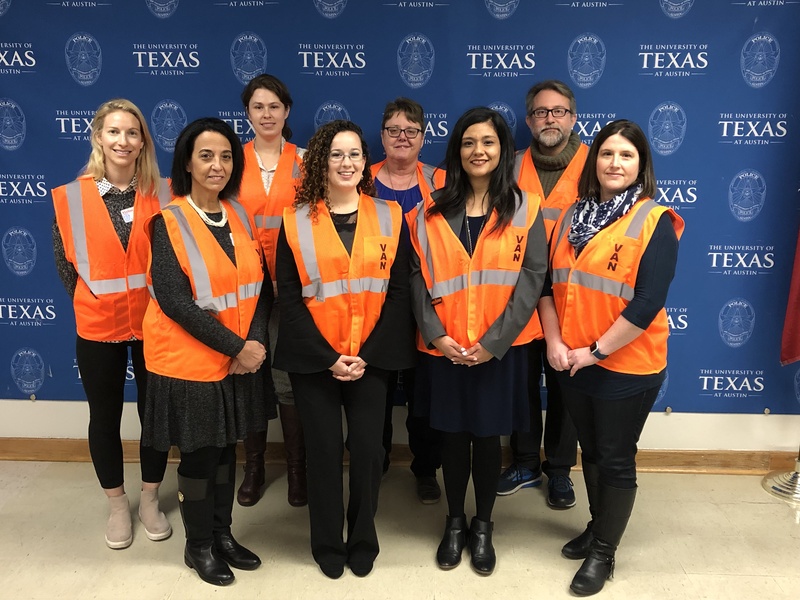 These on-call volunteers are dispatched to the scene by the UT Police Department at the request of a staff or faculty member who is a victim of crime or experiencing a crisis or distressing event, where they provide support. With UT-Austin’s staff and faculty population being the size of a large town, it is no surprise that the University of Texas Police Department responds to more than 55,000 calls for service annually. These calls may range from traffic or welfare concerns to more serious crimes of assault or homicide, and other distressing circumstances. Even more prevalent on campus are non-criminal distressing events, such as medical emergencies. In these instances, staff may have witnessed a colleague experience a stroke, heart attack, possibly receive CPR on the scene, etc., and are understandably shaken from the experience. Such instances are rare on campus and it is important, when they do occur, that the University responds in a way that helps faculty and staff to feel supported and cared for. 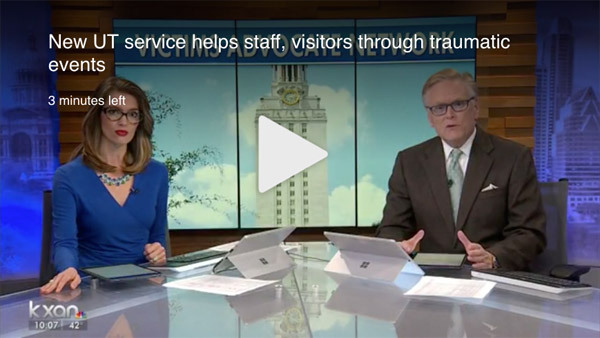 Because “Longhorns take care of each other,” the Victims Advocate Network is now in place to provide on-scene supportive response and follow-up linkage to resources to faculty and staff in those difficult circumstances. Be sure to check out the KXAN story and video (screencapped above) on the UTPD VAN Program! If you are interested in becoming a volunteer for VAN, please fill out all applications and submit them to victims-network@austin.utexas.edu or attend one of our upcoming information sessions.